2018 Mercedes-AMG G63 is as over-the-top as an SUV could be. 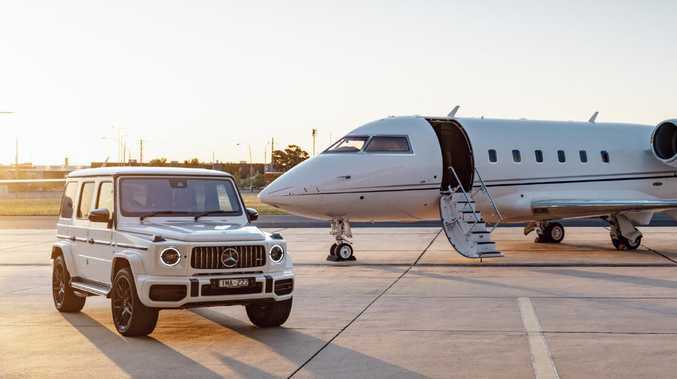 Wonderful extravagances make life worth living, be it a suite at the Park Hyatt Sydney, a bottle of '59 Chateau Lafite - or a $247,700 Mercedes-AMG G63. This absurdly indulgent box on wheels has a 4.0-litre bi-turbo V8 as its heart, pushing out 430kW of power and 850Nm of torque and an exhaust blast - exiting through twin side-exit pipes under each rear door - to rupture your internal organs. 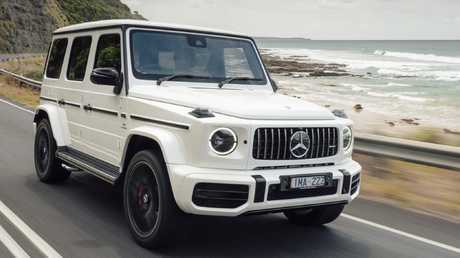 So faithful is the G63's design to Mercedes-Benz's original 1979 G-Wagen that it still has a drag coefficient of 0.55, roughly that of a block of units. The G63’s retro styling is a big part of its charm. With such terrible aerodynamics plus a weight of 2.5 tonnes, physics should dictate tardy progress. The V8 reckons otherwise. Select Sport+ mode, hit the exhaust note button to boost decibels by 20 per cent, and the big G launches from rest to 100km/h in 4.5 seconds. It trumps a manual Porsche 911 Carrera. 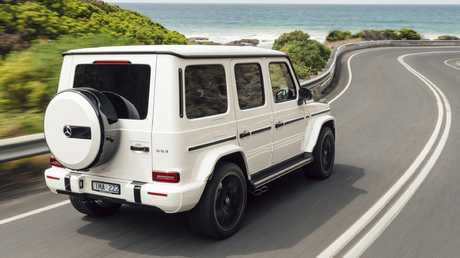 Dynamically the G63 won't worry its fellow German. Plant the G's throttle and its nose lifts like a dragster's as you wrestle the steering wheel in a mad bid to keep progress in a straight line. With windows down and the V8 roaring like a GT3 racer, the experience is pure theatre. Dress circle of course, thanks to salubrious Nappa leather surrounds with a sea of giant digital screens feeding you information. A monster V8 engine gives Porsche beating performance. I kept telling myself the whole car is an utter irrelevance, but the package - power, luxury, presence and heritage - gets under your skin. It's a drive experience like no other. 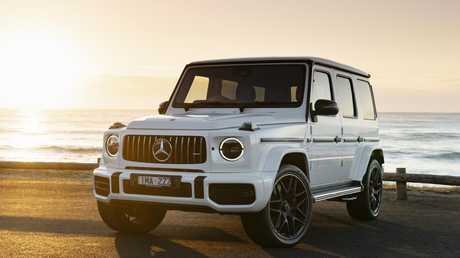 Despite this being Benz's priciest SUV, order books are long for the hand-built G63: it's sold out in Australia until early 2020 due to global demand. Gym owners in the US and sand dune jumpers in the Middle East got first dibs. Low fuel prices in these markets make the G63's running costs easier to stomach but at a claimed 13.1L/100km (we averaged 18L-plus), your weekly spend on 98 RON will hurt. AMG versions account for 80 per cent of the just over 100 G-Class boxes sold here each year. Mercedes-Benz spokesman Jerry Stamoulis says Australia has bid for a G350d diesel version too, but the G63 remains king. "Part of the appeal is the exclusivity," he says. "It's difficult to fulfil the orders we have but we've requested more from the factory." The G63 wears an eye-opening $250,000 price tag. Improvements across the board aim to make this military-origin vehicle more relevant to civilian life. Weight is down 170kg, the live front axle's been swapped for an independent set-up and adaptive damping helps iron out some of the bumps. The ride is fidgety over poor surfaces - put that down to the ladder frame chassis and skinny tyres on 21-inch or optional 22-inch alloys. The G63 lacks the latest "Hey Mercedes" voice assistant but buyers score ambient lighting, 360-degree camera, AMG flat-bottom steering wheel, heated/power seats and Apple CarPlay/Android Auto. Hitech features belie the car’s old-school look. Safety is bang up to date with nine airbags and a long active safety list. Off-road cred remains with three diff locks and ability to shift into low range at up to 40km/h. As no owners venture off-road, neither did we. Rapid progress along the Great Ocean Road seemed more relevant, not least with the V8's howl reverberating off rock walls. Tyres squeal in protest and it feels as top heavy as it looks if you dare try to carry too much of its epic speed into turns. The front seats' side bolsters tuck in as you corner to hold you in place and giant 400mm front disc brakes work their pads off to haul you to a stop rapidly. 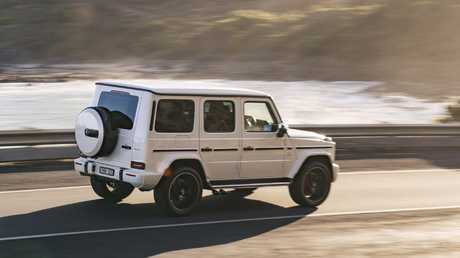 It may be a dynamic step up over the old G63 but the safest way to savour the 430kW is in a straight line. The 2.5 tonne beast doesn’t love corners. Despite the new bits, it's the old school charm that makes the G63 so loveable. Proudly remaining boxy means there's rear headroom enough for a trio of giraffes, the 1979-shaped doors need a solid shove (no S-Class soft close here), push-button door handles are retro heaven, while the door locks sound like a rifle bolt closing. Overall you'd be mad to buy one. But you'd love every minute of it. Price: Up some $15,000 over the old 5.5-litre G 63 courtesy of upgraded luxury and tech. A good chunk of the quarter-mil price goes to the government via daft Luxury Car Tax. 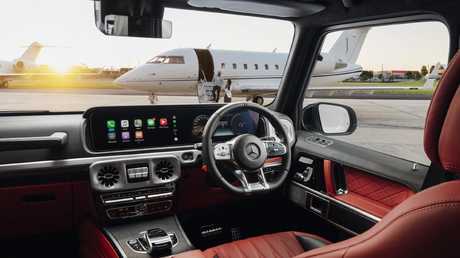 Technology: Two 12.3-inch digital widescreen displays, circular LED running lights, selectable AMG exhaust system and a Burmester surround sound system. Military versions miss out. 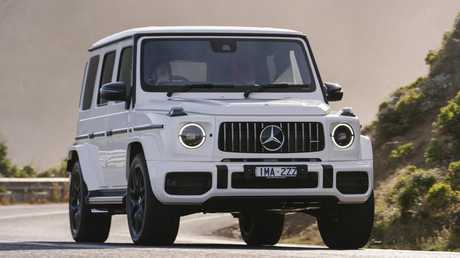 Performance: The old G63's 5.5-litre bi-turbo V8 was hardly a sook with 420kW and 760Nm, but despite down on displacement, the new 4.0-litre V8 with brace of 'chargers boasts 430kW/850Nm and a 0-100kmh time of 4.5-seconds; a second quicker than before. Driving: It's better to drive on road as that's where all spend the vast majority of their time. Independent front suspension replaces a front live axle and AMG ride control adaptive damping arrives. Design: Still the same box on wheels it's been for four decades, but now features distinctive AMG Panamericana grille. 110mm longer, 106mm wider and 40mm longer wheelbase means 150mm more legroom for back seat thrill seekers. You’d be mad to buy one, but if you do, you’ll love every minute of it.